A stirring page-turner from the bestselling author of the Mitford Series. 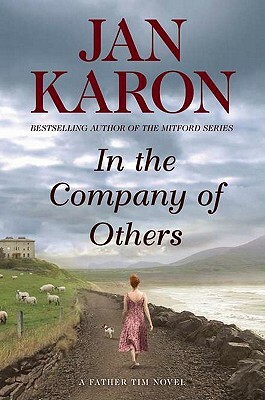 Jan Karon's new series, launched with her "New York Times" bestselling "Home to Holly Springs," thrilled legions of Mitford devotees, and also attracted a whole new set of readers. "Lovely," said "USA Today." "Rejoice " said "The Washington Post." In this second novel, Father Tim and Cynthia arrive in the west of Ireland, intent on researching his Kavanagh ancestry from the comfort of a charming fishing lodge. The charm, however, is broken entirely when Cynthia startles a burglar and sprains her already-injured ankle. Then a cherished and valuable painting is stolen from the lodge owners, and Cynthia's pain pales in comparison to the wound at the center of this bitterly estranged Irish family. "In the Company of Others" is a moving testament to the desperate struggle to hide the truth at any cost and the powerful need to confess. Of all her winning novels, Jan Karon says this "dark-haired child" is her favorite-a sentiment readers everywhere are certain to share.